Donald J Trump, the 45th president of the United States, has held office for about 2 weeks now and already the World can’t seem to ignore his presence. What is his impact on you, the MS/PhD aspirant? 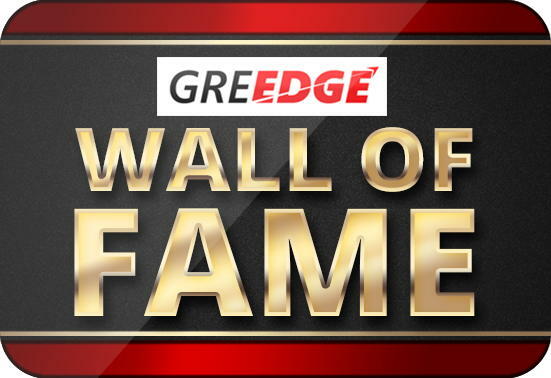 GREedge seeks to put unnecessary conjecture and speculation to rest and provide an unbiased viewpoint on some of the major issues concerning you, including university admission chances, GRE scores required, H1B visas, job opportunities after graduation, OPT period and the whole GRE + MS + US deal! After the new H1B bill, how difficult will it be to get a H1B visa? It is expected that if the new H1B bill (introduced by Democrat & US Representative for Silicon Valley, Zoe Lofgren) is passed, it will become easier for MS/PhD graduates to get a H1B visa. Simultaneously, it will be more difficult, if not impossible, for employees of IT companies that outsource jobs such as TCS, Cognizant, Wipro, Accenture etc to gain a H1B visa. Before we actually discuss the salient features of the new H1B bill, it is important to quickly understand why the H1B visa program was introduced in the first place. The H1B visa program was originally intended to help companies acquire people with highly specialized knowledge temporarily for specialty occupations such as those in the fields of chemistry, biotechnology, engineering, mathematics, physical sciences etc. All employees on a H1B visa must be paid a minimum salary of $60,000 per annum. All companies looking to hire employees on a H1B visa have to submit a legal application citing that they could not find an American worker for the same position. All companies can contest for a maximum of 65,000 H1B visas along with a special allocation of 20,000 visas for foreigners with a Master’s degree. H1B visas are allocated randomly using a computer based lottery system, wherein the applicants with a Master’s degree from US universities are prioritized first. Once the quota is filled up, the remaining members go back into the pool along with the other applicants to compete for the remaining 65,000 visas. However, over the years, many IT companies have started using the H1B visa to bring in people from India, China, Taiwan and Korea to do regular jobs, which do not require very high levels of skill or knowledge. In fact, according to the official website of the U.S Citizenship & Immigration (USCIS), the percentage of H1B visa holders from these IT companies with a bachelor’s degree is as high as 47.3%. This means that people with a basic degree are being taken into the US using a powerful visa program such as the H1B, which also allows applicants with the intent of obtaining a US citizenship, should they wish to. Initially, in the 90s, when Information Technology was just starting to become important, providing IT support was difficult, complex and required people with advanced knowledge to rectify errors, if any. In countries like India & China, education is the cornerstone of development and among all fields of education, engineering is treated with great respect, thereby producing lakhs of skilled, educated engineers every year. Naturally, since demand was high and supply was in plenty in these countries, large amount of immigration took place using the H1B visa in the 90s. It was also aided by the fact that the current H1B VISA program as we know it was put in place by George.W.Bush in 1990. However, 27 years later, in this day and age, the reasons for which engineers are picked up from India & China are entirely different. They are taken up as low-end software developers, computer programmers, analysts etc and paid to do the job at just the minimum wage described, thereby making it cheaper for top IT companies to hire & fire. A quick survey indicates that out of the Top 5 H1B sponsors for 2016, namely, Infosys, TCS, IBM, Wipro and Accenture, the median salary paid is approximately $75,000 per annum. In stark comparison, top product companies such as Oracle, Google, Microsoft etc pay their employees much higher salaries i.e. upwards of $90,000 per annum. Another irritant is that the many of these IT companies flood the system with an overwhelming number of applications. Since the H1B is granted randomly to applicants using a computer-based lottery, the chances of getting a H1B visa for its employees is higher owing to the sheer number of applications in the system. For example, in 2016, Infosys filed approximately 33,000 applications! That is half the number of H1B visas available for an entire year! As a businessman himself, Trump has admitted to using these loopholes to cut down hiring costs. Therefore, his aim is simple – to reinstate the original purpose of the H1B visa and provide it to those who are worthy of it – i.e. those who have highly specialized knowledge in particular fields. Impact on you as a MS/PhD Aspirant? As an MS aspirant, this is good news for those looking at future career opportunities because with stringent hiring rules for outsourcing companies, which currently gobbles up approximately 20-30% of the allocated quota, more number of H1B visas will be available to students pursuing a higher education in the US. Especially since there is no talk of cutting down on the existing number of H1B visas available to students. All H1B dependent employers (companies who have more than 50 employees and whose workforce in the US is made up of over 15% of H1B visa holders) are liable to pay a minimum of $130,000 per annum to all of its employees on a H1B visa. Out of the top H1B Visa sponsors, from our research, only 2 companies are eligible to be listed as a H1B dependent employer i.e. TCS & CTS. Eliminates H1B dependent employers from accessing the additional 20,000 H1B visas available to those with a Master’s degree from US universities. This means that other companies can still contest for the 20,000 H1B visas for students with advanced degrees. This is actually good news for students pursuing MS/PhD because better companies like Oracle, Google, Facebook, Qualcomm can now access top talent for relevant jobs. Eliminates any ‘country-based’ allocation of H1B visas as available previously to Chile & Singapore. From the data published so far, our analysis indicates that this move will be extremely profitable to students who are passionate about their fields, aim at becoming specialists and have a dream towards making a successful career with that knowledge! Move steadfast in your mission towards a better score, buddy! And, we at GREedge, stand by you! What other questions do you have regarding Trump? Comment below and let us know! I have done my bachelors in chemical engineering and interested in pursuing my Masters in chemical engineering in the US. After I complete my Masters what is scope for me getting job in a core chemical industry such as pharma and petroleum considering all the factors such as Trump and limited core jobs in America? You’re in luck! According to a recent survey carried out by Forbes, Petroleum Engineering is one of the most high paid and sought after jobs in the US, with a median salary of $88,000 per annum! The future for highly specialized graduates, like you, should you wish to take up an MS, is bright because of the extensive ongoing research reducing dependence on fossil fuel consumption and developing more sustainable means of extraction, alternate energy sources etc! If you’re looking for expert assistance to get into top universities for petroleum engineering, you can schedule a call here with our experts! Shruti, PLease misguiding. Have you even done a masters from US that you are guiding others. Please stop using fancy words like “median salary of $88,000 per annum!” as if its a very easy feat to achieve. More than 70% of companies are not hiring students even as interns who will need sponsorship in future. Its really tough around here and you are promoting fake articles for growth of your own website/business. Please maintain business ethics while guiding others and let them know about truth or reality if you really know otherwise dont advise others. The purpose of this article is not to promote a Master’s education but to give absolute clarity on the new H1B bill and dismiss any rumors that may be making rounds, through detailed analysis and research. 1. Actual Summary of the new H1B bill as put up on Zoe Lofgren’s official website. Regarding the availability of jobs, it has always been relatively harder to land a job in the US. Without dedicated campus placements or recruitment drives, landing a job in the US is entirely a matter of how well connected you are with industry professionals. However, the current fear among students is regarding any additional reluctance/restriction within the market to hire overseas talent. The article only seeks to clarify that there will be not be any negative, if not positive impact on the availability of jobs for people with a Master’s degree from American universities. 1. “1 million STEM jobs needed” – Bureau of Labor Statistics – Survey on STEM jobs. The reforms to the current H1B visa program aim to extract as much as possible from international students studying in the US because due to the lack of jobs or H1B visas, students are taking back their highly specialized skills to their home country. In fact, that is the complaint that most top officials in the US carry because there is a genuine deficit in STEM jobs. However, the deficit is not uniform, it is dependent on your degree level, your field of choice and your skills. To that end, some of the most promising STEM fields for 2016 are Petroleum Engineering, Nuclear Engineering, Marine Engineering, MIS etc. Regarding whether I have done an MS abroad, the answer would be no. But, I have experience helping over 4000 students achieve an MS admit. Before writing any article, I do individual surveys by contacting students who are already there, including my own research. Nothing is written to promote any product or service but to shed light on some major concerns our students have. I agree with Ankit as well. I’ve completed my bachelors in engineering from a top engineering school in the US and now I’m back home. Shruti, universities in the US have extensive campus career fairs so I don’t know why you said they don’t have ‘dedicated recruitment drives’. Colleges have one career fair in the fall and one in the spring. Universities in the US have amazing career services campus offices and websites as well, unlike in India. In the fall, around 200 companies visit the campus for 2-3 days to recruit students for internships and full time positions. If your university doesn’t hold a fair, you can catch a bus to a close by university and attend their career fair. Out of the 200 companies who come to recruit, only around 10-20 of those companies (depending on your field) will hire international students who need sponsorship. So while an American citizen walks away with 10 interviews at the end of the day, an international student walks away with anywhere between 0 to 2 interviews, and you hope to god a least one will hire you after the 3 to 4 rounds of interviews. The good news is if you’re in the software industry, especially if you specialize in a field, you’ll have more chances of being called in for an interview. If you go for a business course or an outdated course such as electrical engineering (like I did), you probably won’t get hired and will have to fly back home. All this applies for a Masters course. 100 companies will come for recruiting, only 10-20 of them are willing to sponsor. They will only take the best of the best if you’re an international student. Having a degree and relatively strong technical skills isn’t sufficient (unless you’re just too brilliant). Your communication and soft skills will be evaluated as well. As for you Sai, truth be told, there are not many chemical engineering firms that are willing to sponsor (unlike tech companies), unless you go for the big ones such as Schlumberger or BP. Large MNCs are always the safest bet obviously. Good luck to you. Hi abhishek. Can I have your mail ID. I see we both have similar interests. Dude, dont invest that amount of money here unless policies are clear here. In the end its your money and not any consultant. Please do market research thoroughly on your behalf and then take a decision. Please don’t waste your money for higher education in US with the intention of getting job there. You can master your knowledge anywhere. Even after your education completed, teach yourself ability is one of the most important thing that you need consider in your life to become more successful. I completed my graduation in India and worked in US for 10 years on H1B visa and still waiting for GC. H1B is very short term visa and don’t dream that you can be successful always in job ( job politics, project fund/finance, Visa type, etc. are the main concern. Most of the jobs required you to be citizen, GC/EAD holder.). If your job terminated/fired, your h1b status is gone and you need to leave the country and the stamp the visa again. Even after 10 years you may loose your chance to become permanent resident. I would say always study in India and get more experience in your profession and you will definitely get job any where in the world and you will be more happy. I have seen many students in US struggling to to get a job even though they have MS degree. Also its not easy for freshers to be hired for H1B position. What kinda jobs available for MS in MIS? None, hiring and firing.. taking your job, knowledge transfer to an American worker! please do not assume by passing few course work you are the most talented faceted! Neither the outsourcing trainee for that matter. Make 10 years of experience within America and then that’s it. Green is out of scope for any MS and PhD now! If you are so true to be proved, name any company sponsoring Green Card? Also GC holders are still deportable. So no space for naturalisation? The long story short! TRUMP has put a stop to all INDIAN AMERICAS DOLLAR money dreamers. PLease come out of it! Because you are tend to LOOSE and the rule will not change as in future no AMERICAN PRESIDENT will come to help you POOR INDIAN dreamers. ONLY NARENDRA MODI should become president of USA to help INDIANS. SORRY to be rude but understanding is the only thing, every INDIAN should do. CORRECT ME if I am WRONG. From my research, if you’re a Green Card Holder, you will not be deported unless you’ve committed a crime or violated any particular immigration rules. Regarding the number of Green Cards issued to Indians in the US, there are delays because of the large number of applicants, particularly from India & China. I hope this clarifies your doubt. Do reply back if you have any more queries. Hello shruthi and ankit I consider both of your versions. I just want to know whether coming to US in this particular tight situation is advisable or not? because i am basically from a core field and not interested in IT jobs.After finishing my Masters can I hope of getting a core related job? I cannot afford petroleum engineering so my interest is to do Masters in Chemical engineering only.Moreover the public talk is that in the US it is very hard to find core related jobs and because of that many people shift to IT. To what extent is that true? I have got admits from Stevens and Suny Buffalo for MS in MIS – Fall 2017. I have 6 years of experience as a Business Analyst and I am currently employed with Bank of america with a good salary. My previous work stints are from firms like Credit Suisse, Accenture. After Trump. I am skeptical that will I get H1 B or job for that matter after my MS. I have heard companies have stopped hiring as they are not sure of the H1B rules and playing safe. What should be my point of action please help. I have browsed a lot of places on the Internet looking for clearing my head regarding the doubts that are coming in my mind. I got a score of 318 in GRE and 108 in TOEFL. My CGPA is also above 8 and I have 2 years work experience as a Product Engineer – R&D in a US based company working on Amazon Web Service. I wanted to apply for Spring admission as the deadlines for Fall has passed away and I want to take admission this time around only. So, with this kind of profile, what are the good colleges available in Spring that I can apply and what are the odds of getting in one of them. Also, since I have a couple of months more before applying to the universities for the start of the Spring session, what can I possibly do to improve on my overall profile. I would be grateful if anyone could help me out here. First of all, congratulations on your GRE score, TOEFL score and your overall profile. You have ticked all the boxes that we generally ask students to be mindful of, when it comes to admissions into US universities. Also, since you’re a working professional, your chances for admission in Spring is good because of lesser competition from students. To that end, let me suggest some universities for your profile. Please ensure you research about these universities and understand if your field of interest is available. Also, check the admission requirements before confirming your shortlist. Assuming you’re looking for MS in Computer Science, here are some universities you can consider. if you are looking for any other stream, do reply back and I’ll be happy to help you out! if you’re looking for expert assistance in shortlisting the right universities for your profile, crafting a great SOP and applying to universities before deadlines, we can help you out! Just schedule a call with us and we can discuss how you can proceed further. hi guys,why we not create a group in whats up for discussion regarding this topic,i think this is the best way to know everything as other guys to be get good clariffication on thier future….if any body interest to join in group share your numbers to my mail id ….shkrafiq4c2@gmail.com.. I was in US for research internship in stem cells for 6 months on J visa. I have returned to India now and have a masters degree with me. Unfortunately, I fall under 2 year home country stay rule because of the J visa. Now, I am planning to apply for PhD in US universities. Can I get F visa for PhD in spite of the 2 year home country stay rule? The article was informative. But irrespective of the facts you produced, I know 10-12 people pursuing masters in Petroleum Engineering in US who have not got jobs and hence have to resort to taking the PhD route to stay in the US. What according to you would be the reason then for so many people not getting a job other than accepting that after Trump, it really has become difficult for an international student to get a job. Also i have heard that the companies prefer local students first rather than going through the difficult process of H1B visas for internationals whose rule may change anytime. I recently graduated with BE Mechanical engineering. I wish to apply for MS in mechanical engineering for the fall 2018 term. I have gone through numerous articles on H1b and job prospects on the net. Also, your article on the same is quite convincing. However, I am still ambivalent of persuing masters there since I got a mixture of comments from people working in the USA. I would like to know the job prospects related to design major in the USA. Also, if it worth the investment and do i need to reconsider if not conducive. Thanks. I am an Indian girl residing in the U.S for the past 4 years. I am currently on a dependent visa and works for a top Biotechnology company. I stumbled upon this comment section and would like to contribute my 2 cents. Please keep in mind that this entirely my personal opinion. For those who are thinking of pursuing Masters in U.S please think twice. Most of the students come to use for Masters enroll in 2 year OPT to find jobs after their studies. OPT really gives someone time to find an employer who is willing to sponsor H1B. This was the scenario until one or two years back. Agreed that there were very few people who did not get through the H1B lottery and had to go back but those numbers were very less. The chance of getting a lottery was greater than 50% and you could try filing H1B twice or thrice while working in OPT. Now the situation is very different. First and foremost there is a talk of OPT getting revoked. I know we are surrounded by rumors but there is a chance that this can happen. If this happens you are forced to get a job immediately after Masters. Lets say a student find an employer. Now he has to get the H1B lottery which has now less than 25% which is difficult. I hope OPT won’t be revoked and personally I feel chances are less. Still getting an H1B in the lottery is very difficult these days. Now about getting an H1B sponsorship. I really don’t know what has happened but companies are very reluctant to hire H1Bs these days. I live in Silicon valley and I am talking from my personal experience. Getting a sponsor was always difficult for my field (Biotech) but for the past couple of months even other fields are also following the trend. My friend’s employer who used to hire good professional irrespective of the visa status has indirectly put a hold on hiring H1Bs now. In fact the position is still open since they are yet to find a qualified person who does not need any visa. HOWEVER, on a positive note if you are a very smart kid who is going to an IVY league with top marks, please don’t hesitate. No visa issue can stop you. Similarly do you know that there are Indian kids who get green cards after 3-4 months while others wait for 10-15 years? One example would be my friend who finished Ph.D and Post doc from U.S with first author papers and filed green card by himself claiming extraordinary talent. Obviously he got the green card in 4 months. ALSO, I understand that everyone who comes to U.S for a Masters come here thinking of a job. I would like to stress the fact that irrespective of whether you get the job or not, U.S education is the best. So if you can afford it and if you are ok to go back under the worst circumstances please do come. Last but not least, I see many people complaining and cribbing about the Govt., the green card wait, the visa. What I would like to let everyone know is this: U.S is not our country. U.S might have its own reasons to do whatever they want. Just because things don’t happen your way it is not right to force another country to do stuff our way. I finished my graduation a month ago but have not received my OPT. How can I get my VISA re stamped staying in US? If I go back to my country, cam I re apply for F1 visa though my graduation is complete but I still wish to take some training in US and as my original F1 visa was valid till September 2018. Hi! Would like to know how is the repute of Olin Business School at Washington University? ? Hi Shruti! I have done my masters in Environmental Sciences. And currently pursuing my PhD in same subject in India. I am confused abt continuing my PhD or try for Ms in USA. What is your opinion on this scenario? What are my chances to get a job there? Please shed some light on the job availability madam. This Quora post says that there is indeed a significant reduction in number of jobs. You can get back to me personally through my e-mail. Thanks in advance! Hey ! Can u tell about the jobs in automobile industry? I am planning to do my MS in automobiles from US, currently i am persuing my BTech from Mechanical Engineering. You have a good enough GRE score. If you have a well-written SOP and additional essays explaining why it took you 4.5 years to complete your degree, as well strong recommendations, you’ll definitely get admissions in reputable universities. Honestly though, 4.5 years to complete a 4 year degree is somewhat common in the US as well. Automotive Engineering in USA(starting 2019). After i complete masters,what is the scope in that field and moreover can i expect to be recruited by companies who can sponsor for Green Card or maybe H1B visa. Many people are talking about difficulties in getting jobs and OPT getting revoked for international students. Should i consider further. I am also thinking about Germany. I am a graduate in B.E(Electronics and communication) and having 11 years of job experience in IT industry . I have also done some certifications in Project management . I want to pursue for PHD Degree from India . Can anyone let me know is it mandatory to complete masters first before PHD in India. And also is it mandatory to have NET exam scorecard for PHD in India . I heard from some of my friends that a bachelors degree graduate having 10 plus years of experience can enroll directly for PHD .Is this true? Can anyone throw some lights on this. I just want to clear my doubt that , is it advisable to do MS in US with Computer Science as course ? And what are the chances of getting myself placed in a company after my MS? Also what score should I require to fix my spot in nice university and possibly job placement ?? Hi, I am an Electrical Engineer in Philippines with 8 years experience. Can I possibly get employment in US through H1B visa? I have done masters in biotechnology(2006) from India and have five years of research experience in neuroscience from Indian Institute of Science Education and Research (IISER). After that I have worked as a data analyst in local company (5 years). Now, I want to pursue MS in bioinformatics from US university. I am going to spend all my savings to do the same. Please let me know, what are my job prospects in USA during Trump era. Is it advisable to go for MS degree now in this uncertain time? Is it difficult to get job in USA after doing MS? I am betting on big pharmaceutical companies for sponsoring visa based on vast experience and knowledge. I am very confused because it is a huge investment for a middle class family. I’m Omkar Deshpande. I am appling for my bachelor’s in physics in the U.S. So I’ll get an F-1 visa then OPT with extension (since my course comes under STEM). But, is it hard for me to get an H-1B visa after this? Is it possible to do Phd or land a job in US after doing Master from Germany ? I’m currently doing master in Germany and want to Phd in US. Is it possible to do Phd or land a job in US after doing Master from Germany ? I’m currently doing master in Germany and want to do Phd in US. I immigrated to the US a long time back. The reality was up until late 1990s it was always difficult to find jobs after MS in the US in any field. Even getting admissions to MS was not easy and neither was getting F1 visa with a MS admission letter. Generally we had to be from one the top colleges in India to get admissions for MS and get a student visa. Most of us went through a grind for years to get jobs, h1 and GCs and many went back or did phds and became professors. Only after late 1990s, flood gates opened for college admissions, h1 etc and with plenty of abuses across the board. If anything things are going back to the way they were in 70s, 80s and 90s. For my generations, there were very few opportunities in India. Things are different in India now, although salaries may lag. I personally would love to see the Indian community grow in the US but reality of public sentiment is different. Maybe it is time to stay and build India unless you really want knowledge and study at top tier colleges. Next story H1B Visa Under Trump – What about the $130,000 salary cap?